Custom invoices and statements are easy to customize and help you stand out. 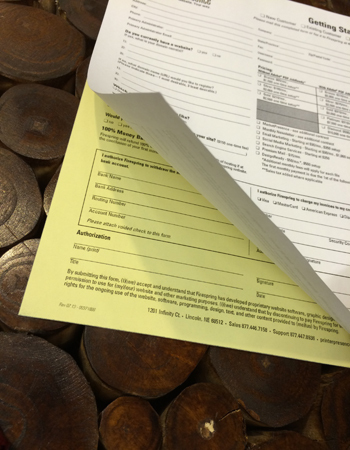 Using pre-printed forms saves you time and money. Time, because it takes longer for your printer to print an entire form. Money, because of printing supplies and equipment usage. Pro Forms has a design staff that can customize your forms to meet your needs. Our designers will create a form to work with your software. Don't need anything right now, send a sample to us so we can get it set up for when you do. Feel free to ask for a quote.